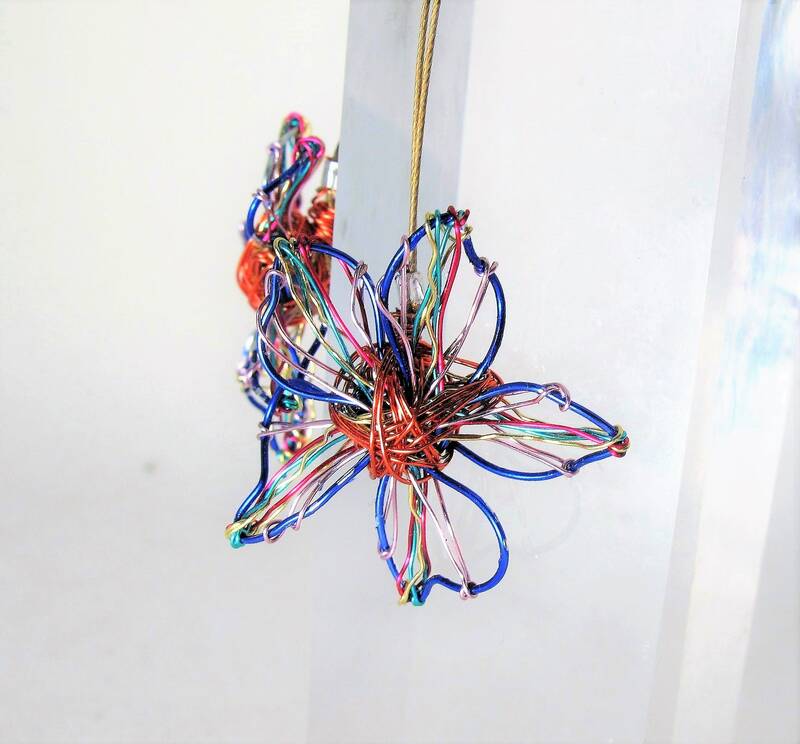 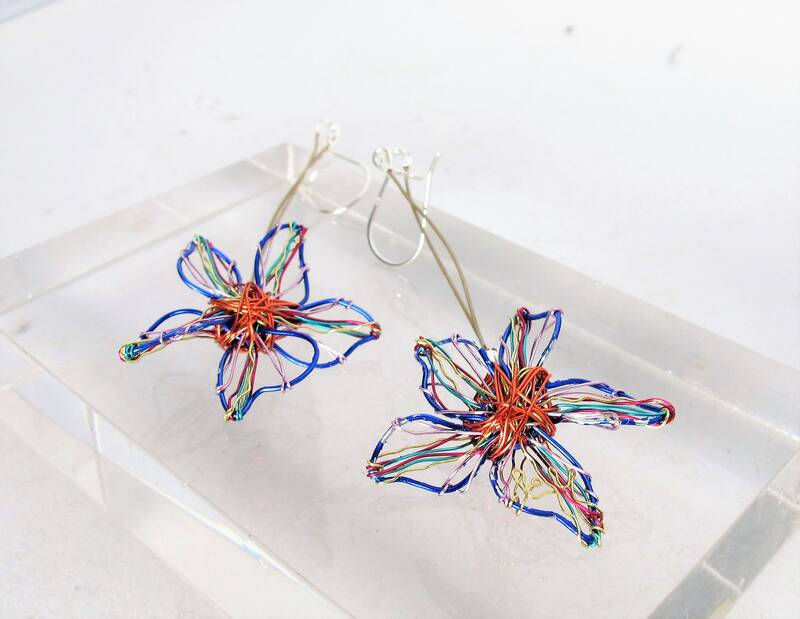 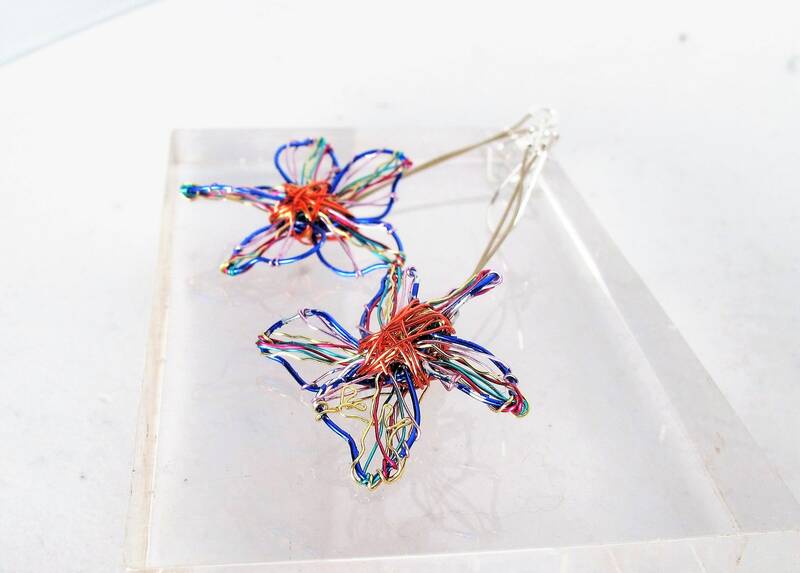 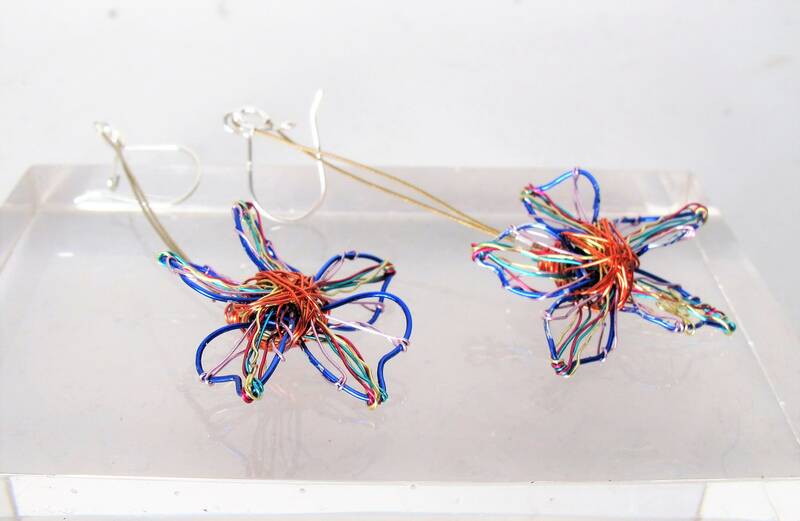 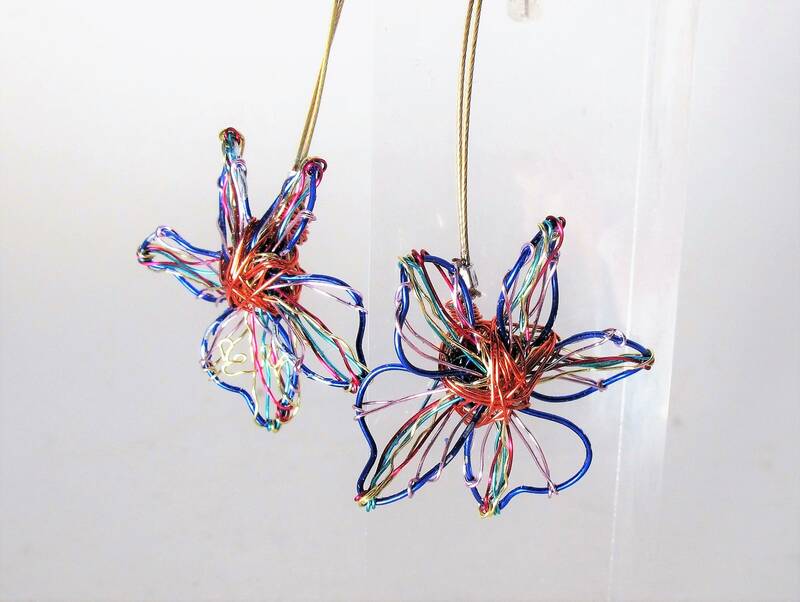 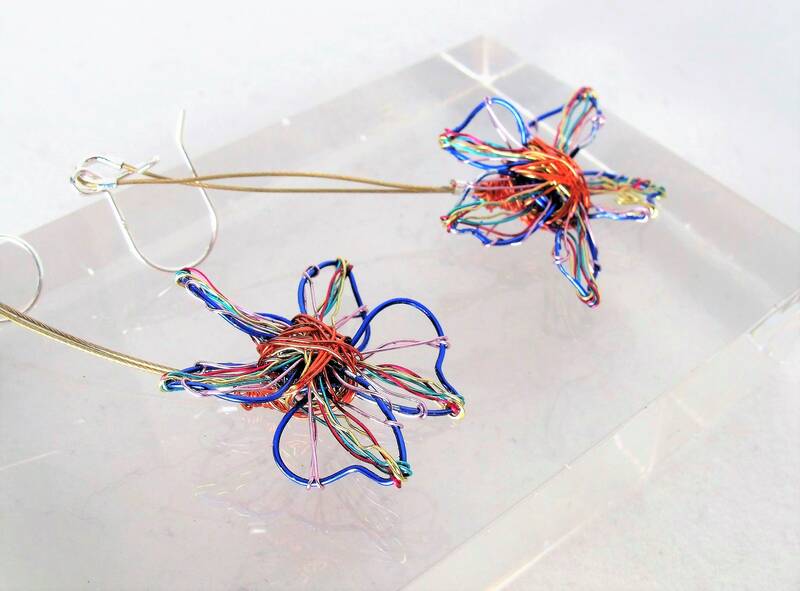 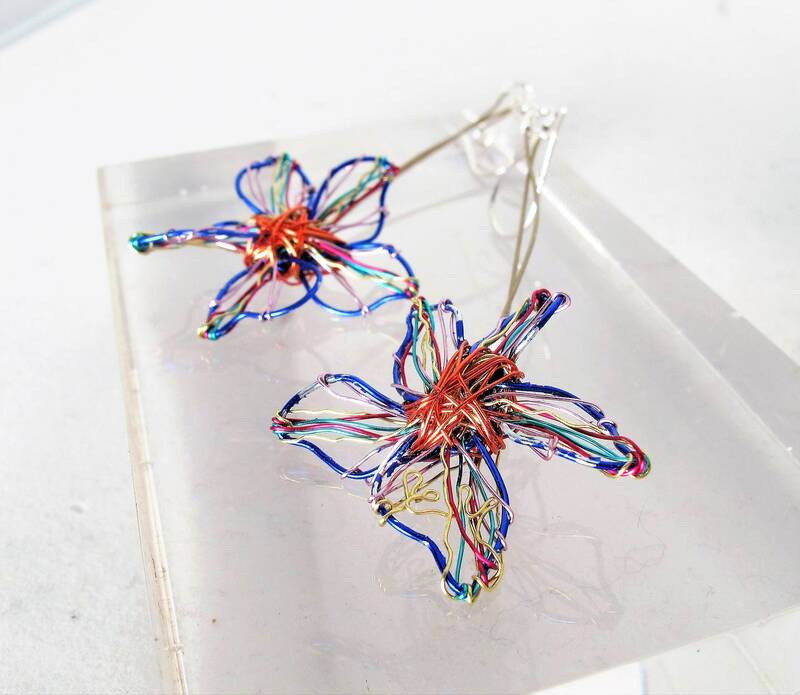 Wire flower blue earrings, handmade ​​of colored copper wire and silver. 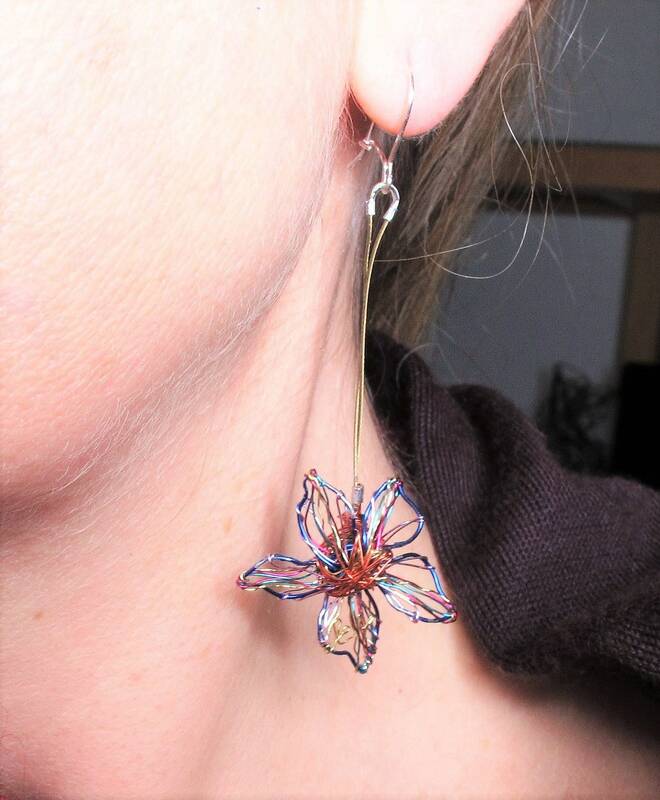 The diameter of the long, modern, art earring is 3 cm (1.18 in). 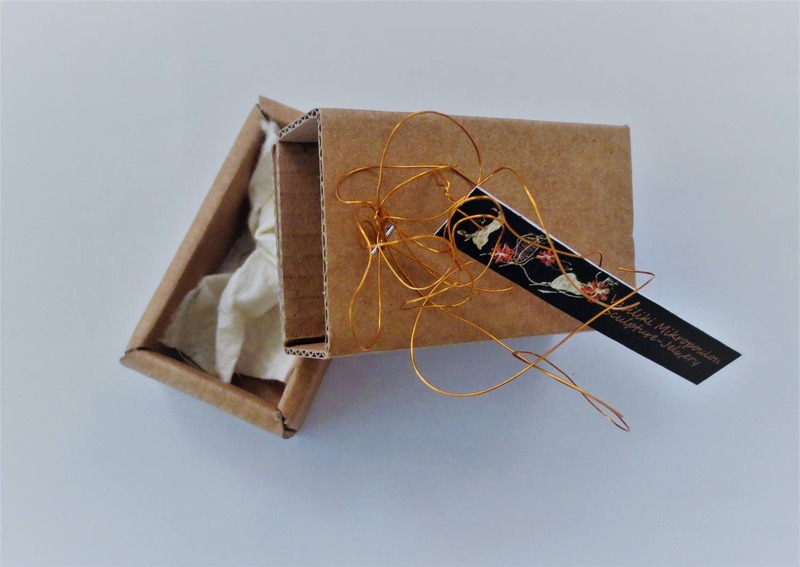 The drop length is 8.5 cm (3.35 in). 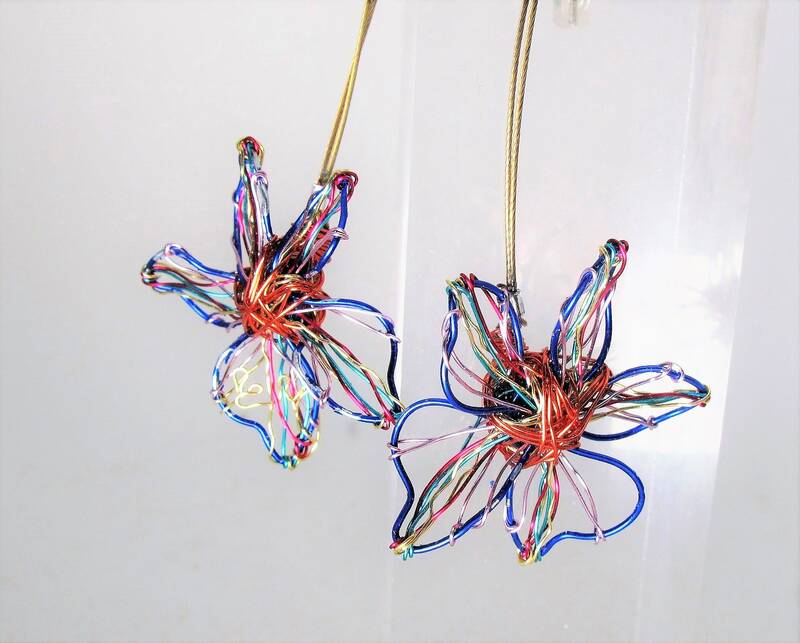 Hooks from which standing the unique gift for her are solid silver.